In June of 2012, CTI embarked on an incredible journey. An American basketball team arrived in Pyongyang, North Korea. CTI aimed to begin breaking down walls of stereotypes, political barriers and expectations that have been decades in the making. The trip then was a success and so was its follow up trip later that year. On November 11, 2015, CTI will be boarding a plane in Shenyang, China in route to return to the DPRK in hopes to replicate what it started over 3 years earlier. 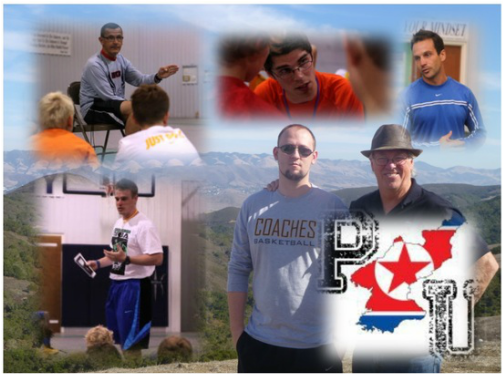 This year we are excited to feature the coaches of the International Basketball Training Academy of North Carolina. 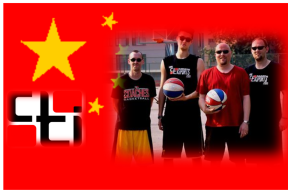 This year’s trip to North Korea and China will feature IBTA’s coaches’ Mike, Nate, Seth and James and also CTI’s Luke and Larry. We are excited to see the athletes in Pyongyang in action again and see what doors open for us as we attempt to break down more walls and help develop the Korean athletes to be the best that they can be and change live one high five at a time! Luke Elie will be all over the place and doing some amazing sports stuff. Click to see more. The Coaches unite in Beijing. Welcome to CTI newcomers; Rudy Deaza and Dan Carr. 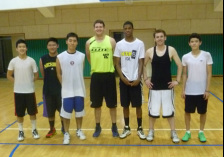 Luke, David and Tim changing lives in Taiyuan, China through basketball. 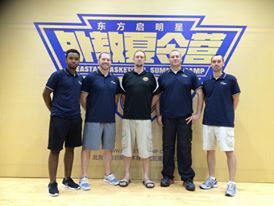 Tim, David, Jacob and Luke begin our new camp in Taiyuan, China. 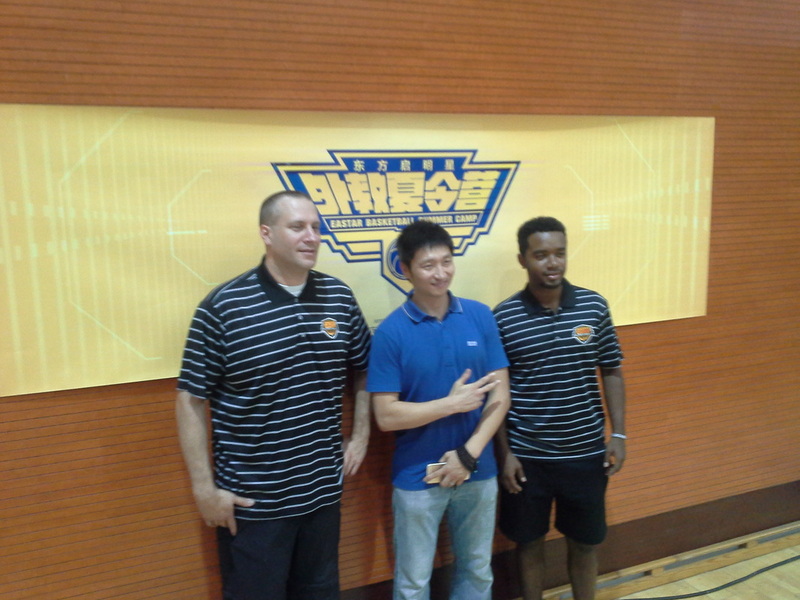 Coach Dan and Rudy arrive in Beijing and pose with East Star director Jin Xin in preparation for the camp. CTI is making new friends in Korea. Han Gi Bum is one of Korea's most famous former national players and humanitarian. His organization has helped a lot of people. CTI is excited to support his work. This weeks debate question addresses a topic that very few people wish to publicize but one many people are talking about. Can white men finally jump? This weeks COACHES HIGH FIVE question asks: WHO ARE THE TOP FIVE AMERICAN BORN WHITE BOYS IN THE NBA TODAY? Good job to Linda Kye for winning the Poll last week. VOTE!!! The alarm clock sounded as it did every day that week at 5 AM. I sat up in my bed and wiped my eyes and just stared into the early morning darkness. 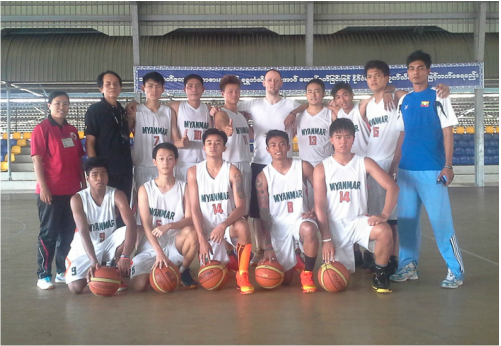 My body was a bit tired and sore from a week of daily workouts and practices with the Myanmar National Basketball Team. After I mumbled a quick prayer to thank God for the opportunities I have been blessed with, I managed to find the strength somewhere to crawl out of bed and splash water onto my face. I quickly laced up my shoes and ran out of the Foreign Coaches apartment located in the corner of the Gold Camp. As I was jogging through the camp, I was reviewing many of the memories that were made throughout my 2 week period there. I enjoyed the early morning cool breeze, after all, 100 degrees F temperatures were just a few hours away. The Gold Camp is located in Naypyidaw, Myanmar (the current military capital) of Myanmar (also known as Burma). This camp is where the best athletes in Myanmar are gathered and trained for international competitions such as the Olympics, Asian and Southeast Asian Games. As I jogged by the dining hall, I would say “Minga la ba (hello)” to all the hard working cooks who have been awake and cooking for hours for the over 700 athletes on camp. They responded with big smiles and high fives. All week I was blessed by the kindness and big smiles of the Burmese people. This came as somewhat of a shock to me early on because of Myanmar’s worldwide reputation as a violent human rights violator as a result of 60 plus years of brutal civil war and utter poverty. But the Burmese people helped me to quickly dismiss my preconceived thoughts and embrace the people for their love for sports, family, Taylor Swift and Hollywood movies. As I continued my jog I began to approach my final destination as a faint glimmer of light was visible on the horizon. I arrived as usual to the outdoor training grounds where the basketball team was lined up and being led in their morning routine of their Burmese national pledge. With pride and apparent conviction the players faced and saluted the yellow, green and red flag with a big white star dominating the center reciting the sacred words. The players, like the rest of the people in the nation are hopeful that the future looks bright. Millions of Burmese people flood the many golden Buddhist temples nationwide praying for peace. The growing population of Christians populate churches weekly to pray for the nation and thank Jesus for the most peaceful time in recent history. A small minority of Muslims also meet regularly and pray for upcoming elections. Muslim and Christian Burmese people have been persecuted for generations by the majority Buddhist population and are enjoying a breath of fresher air than normal. But here in Gold Camp, athletes from all walks of life in Myanmar are being trained together for a single national cause. To the young athletes of Burma, this type of hope is exciting. Although the Gold Camp features a variety of sports, I was excited to share my passion and experiences helping to train the basketball team. The basketball team (like the other teams) is preparing to compete in Singapore which will host the SEA (Southeast Asian) Games. Myanmar hosted the last SEA Games in 2013 where the host nation was unable to crack the win column. 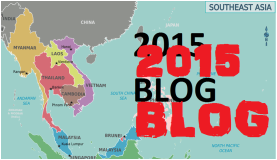 Myanmar is taking their bottom world ranking and approaching the 2015 SEA Games with the hope to improve and be more competitive. Winning a game in Singapore would be a great accomplishment perhaps. But the Myanmar basketball federation is already planning for the future. “The Ministry of Sports is investing a lot in the Junior team and the development of younger players” says the Junior National coach Min Soe Myint. This coach is already with the Junior team in China training. Coaches Team International is excited to explore a new adventure in this region of the world. I am thankful for Athletes In Action for inviting me to be a part of this new project. I do not know what the future holds for the nation of Myanmar or their basketball development. But I do know that there are a lot of people there that are excited about the future and are hopeful. I have learned that there is not too many places I would rather be then in a place surrounded by people who are full of hope. As we finished our last practice together, we huddled up and I was able to pray for the team and encourage them to keep pushing on and to not give up. We finished off by putting our hands together and yelling in unison the word “FAMILY!” We took our photos, we exchanged hugs and emails. And within a few days of leaving Myanmar, plans were put in motion to bring myself and the CTI vision back. The question I ask is: “Is Myanmar prepared for CTI?” Help support CTI work worldwide and add to the hope that we want to give the Burmese people. Join the team! CTI is proud to introduce you to Cecil Smart. Cecil will be joining CTI for the first time when he arrives in Korea this week to help the Korea based Coaches Team compete in the US Army Korea MLK tournament (Feb. 14-16) before traveling with a select Coaches squad to Guangxi, China for a few weeks. Cecil is now based out of San Antonio, Texas where he works as a basketball trainer at the Antioch Sports Complex. He played college ball at Sterling College where he was the assistant coach for several years. 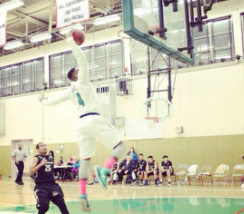 He started his college playing at Trinity International University near Chicago where is originally from. Cecil is a proud father of little Cecil Smart and CTI is proud to welcome both of them to the team. Only God knows what adventures are in store for him and his family. Cecil comes with passion, experience and excitement. He was certainly a SMART choice. CTI Invades Guangxi, China for the fourth year in a row. Full story and videos coming soon. The trip is still going. 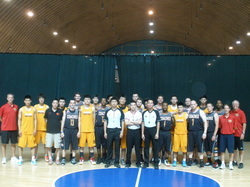 CTI Korea competes in the US ARMY MLK Tournament at Yongsan Army Garrison in Seoul, South Korea. READ ARTICLE HERE about Stevie! CTI is happy to see some of the EAE athletes getting involved in higher level training. 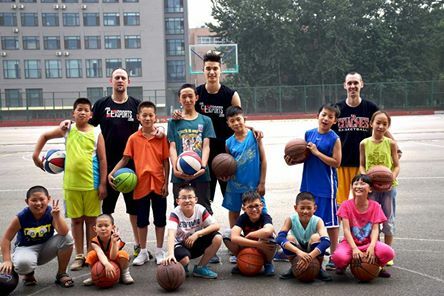 This summer a few of our very own were able to join the Jeremy Lin Basketball Camp in China. The kids were happy to report that Jeremy Lin is a nice guy and that they had a good time. I hope this experience will help them develop further as a player and also young men and leaders. Good job guys! The EAE recruiting season is now in full swing. 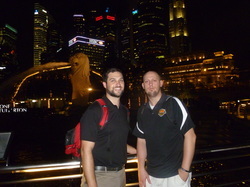 CTI scouts and coaches will be traveling around Asia trying to find the next big International school talent. This year has already yielded quite a few potential college players. A lot of players want to make it to the next level but only a few can really do it. This year's Far East Division 2 tournament could feature a potential match up that will be fun to watch as Nick White (Osan Americn, Korea) and Jon Cadavos (MC Perry, Japan) look to lead the way in a guard heavy conference. Both players have shown a great deal of skill and heart when leading their teams. Both desire to play at the next level and CTI will do all it can to help them get there. Every year, American student athletes all over the world go uniscovered. Many of these kids have what it takes to play at the next level but simply just need a chance. It is tournament season in Asia. The best American players living overseas are about to battle for All Asian bragging rights. Let's see what happens. If you are a college coach who wishes to know more about these players or others or wanting to know more about the East Asia Elite Program: contact Luke Elie at lremichigan@hotmail.com. 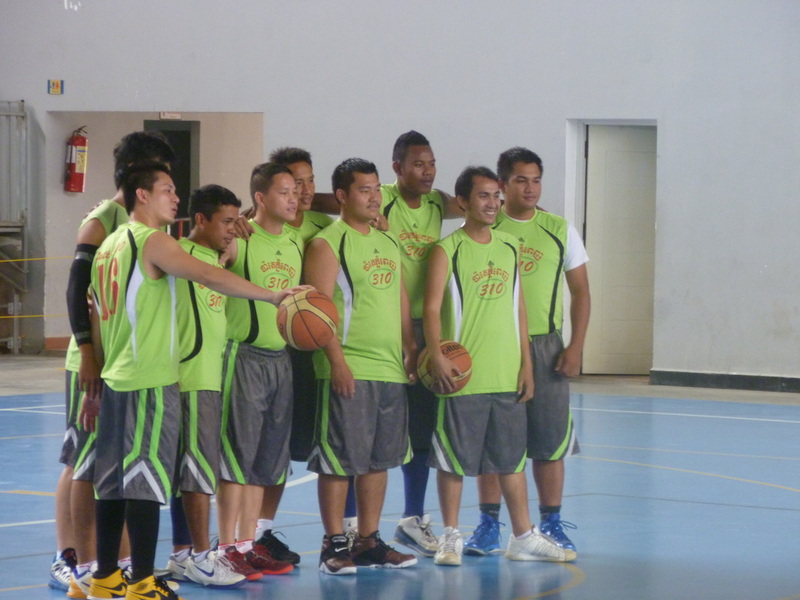 Jamarr’s rise to play pro ball in Indonesia was not a traditional one. Jamarr was first introduced to the Indonesian basketball scene 3 years ago when he participated on a basketball tour with Athletes In Action (AIA). In time he felt the spiritual need to stay in Indonesia and help train students and change lives through his passion for basketball. This lead him to a coaching job at the prestigious Universitas Pelita Harapan (UPH is one of the nation’s top universities for athletics and academics). 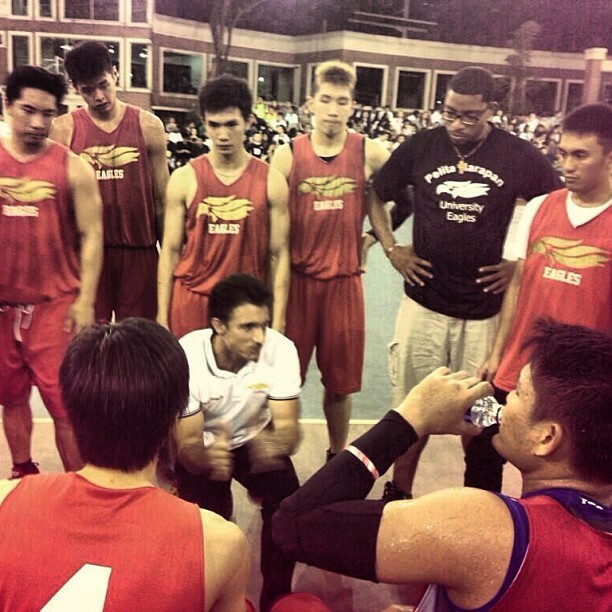 CTI has enjoyed great success on and off the court in Asia. 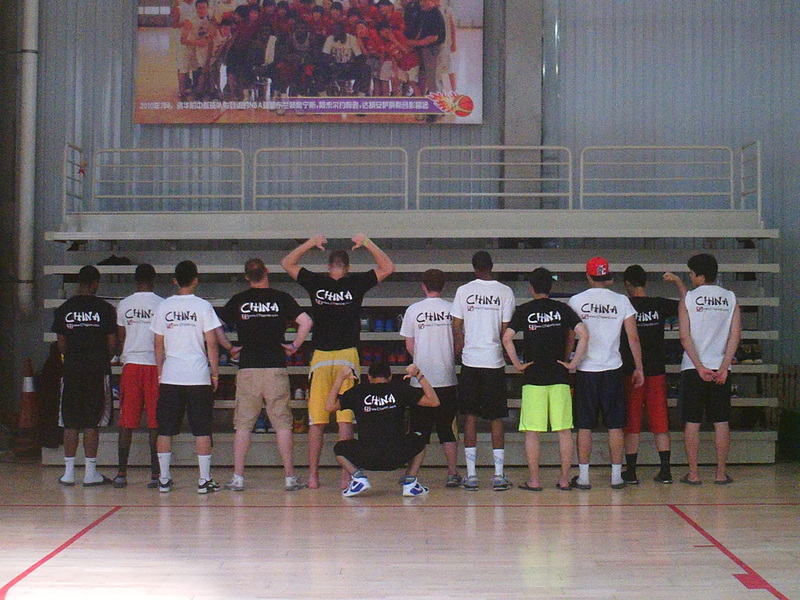 As CTI grows, so does the prospect of more coaches being able to live overseas and earn their way. CTI is excited to open its new office and headquarters in Shanghai with its new partner Transformation Academy. 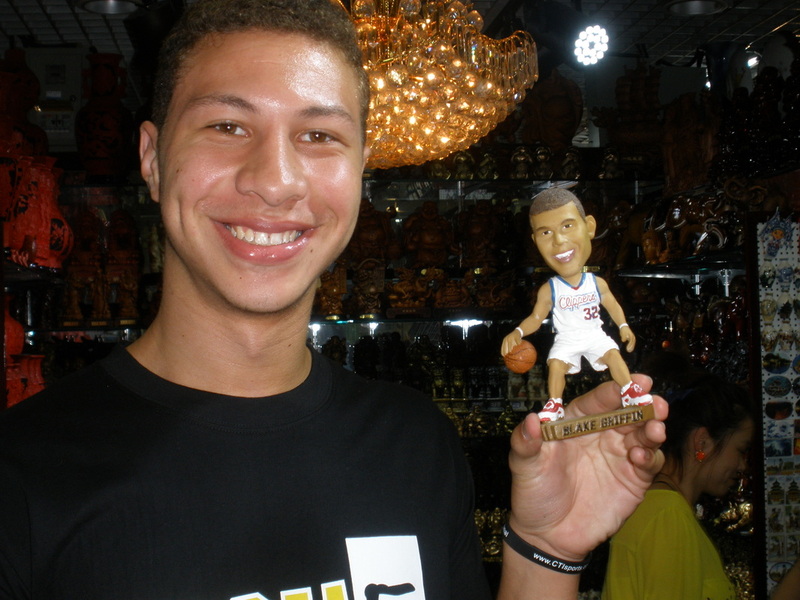 This year Luke Elie is joined by Ryan Smith with his wife Alana and son Bredin in Shanghai. Doors are opening all over China for CTI and we continue to ask for wisdom in walking through the right ones. The CTI academy is set to open soon in Shanghai and we are excited about bringing in more coaches and teachers to help us. Work is already underway to start preparing for 2015 summer tours. Ryan Smith and his family will be now working on the ground to make this happen as CTI expands. CTI now has a gym and a place to grow from. Things are looking good for the future. The EAE Boys kicked off their new season/program with a win against the ex pro players of Dears Custom. After Years of effort. 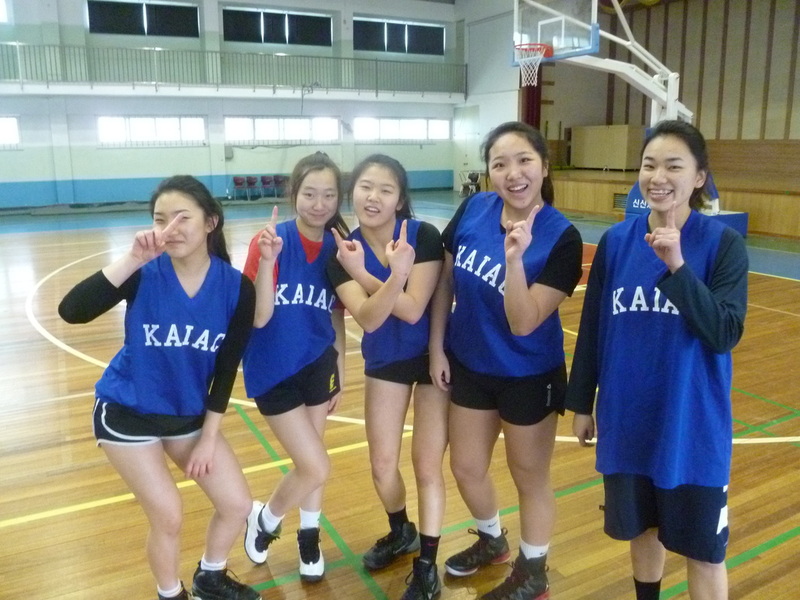 EAE featured its first ever high school girls game. Good Job Ladies! More to come. "CTI is excited to bring on the leadership and experience of Coach Bill Ciancio. CTI has had the opportunity and privilege to work with many great coaches over the years and we are excited to have talents of Bill for this summer's China tour." -Luke Elie (Director and Founder of CTI). 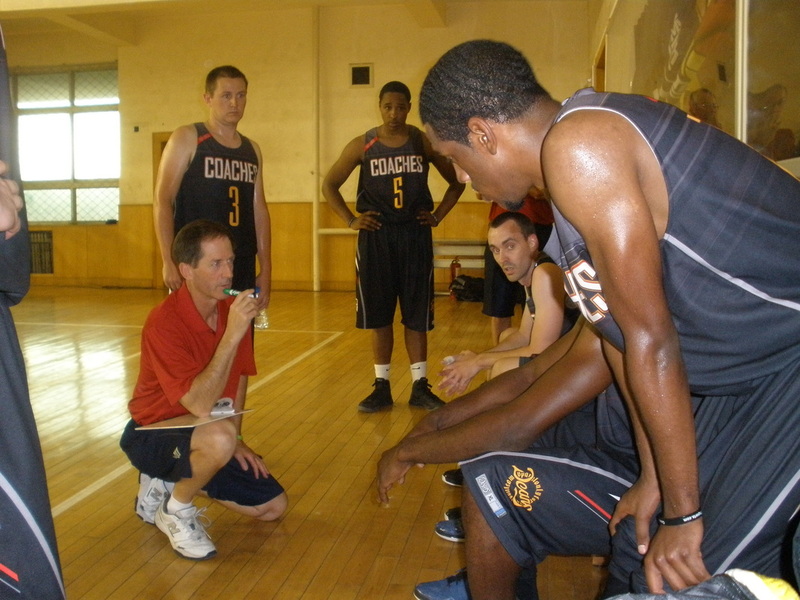 Learn more about Coach Bill in our CTI featured article (CLICK HERE). 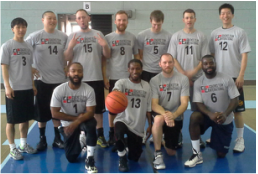 CTI begins its first basketball adventure of 2014. CTI players head to Pingnan, China to play in a nationwide tournament along side Chinese players from all over China. This is the 3rd year in a row CTI has been represented in this big Chinese New Year's event. Please stay tuned and keep up with the daily exploits of CTI members in Southern China from January 31- February 7th. It will be a great opportunity to see further development in relationships that have been built over the past 3 years. GO COACHES!!! CTI made it's last stop on its incredible vision Southeast Asia tour in Phnom Penh, Cambodia. While there we met with local officials and made plans to help enhance their newly found basketball league the Cambodia Basketball League (CBL). 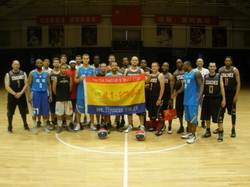 We also had a chance to interact and play with the national team along with a few other basketball activities. Also we had a chance to dig deep into the culture and learn about the tragic recent history there as well. 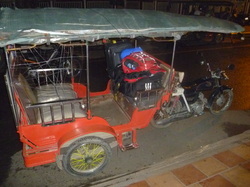 CTI looks forward to helping Cambodia soon. 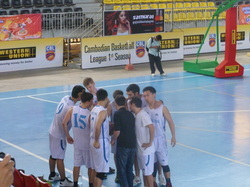 One of the Cambodian CBL teams. 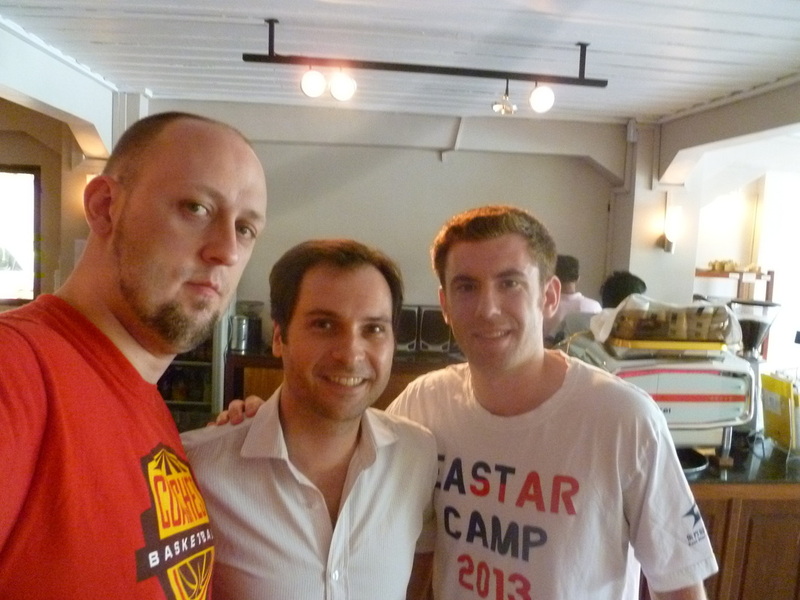 CTI director Luke Elie continued his South East Asia trip by stopping by Jakarta, Indonesia. While there, Luke connected with coach Jamarr Johnson. After a plethora of scooter rides we were able to learn more about Indonesian culture and establish perhaps some plans for future CTI activity in that nation. The coaches spent a majority of their time working with UPH (Universitas Pelita Harapan) which is one of Indonesia's top academic and athletic institutions. Please stay tuned for more updates. After a few days of meet and greet with various coaches and seeing the sights on the small island nation of Singapore, CTI looks to see what possible ventures could be in store there. 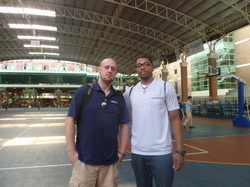 Luke Elie traveled to Singapore from Korea to meet with Project uNKnown alumni, CTI media staff and coach, Scot Byrd. We discussed a variety of ways to bring CTI to that region of the world. 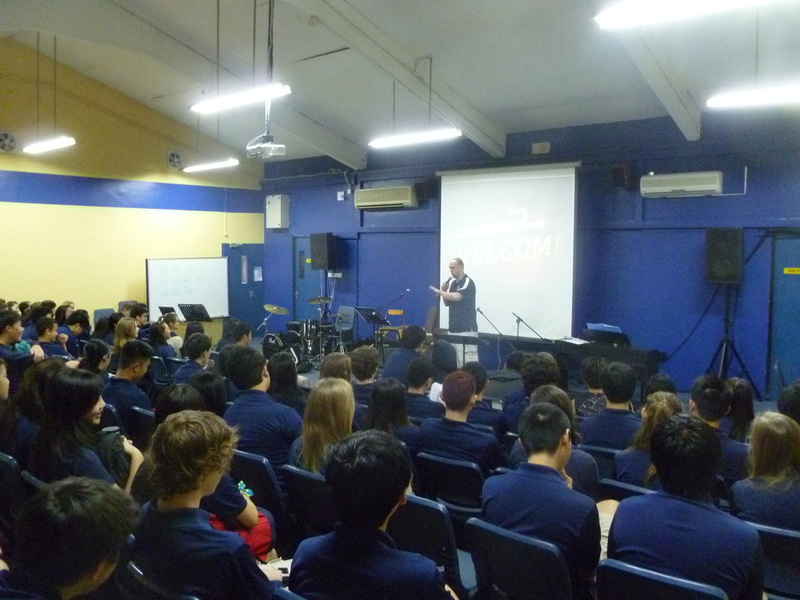 While there Luke was also able to speak and encourage students as well at a local international school. CTI prepares for 2014 by sending coaches to scout out and meet with local officials about how to better develop basketball along with other sports in Singapore, Indonesia and Cambodia. These are vision trips that require much planning, prayer and people. Stay tuned to see what CTI has learned and how the trips go. It will be a busy 2 weeks but we hope the results will truly be impactful. 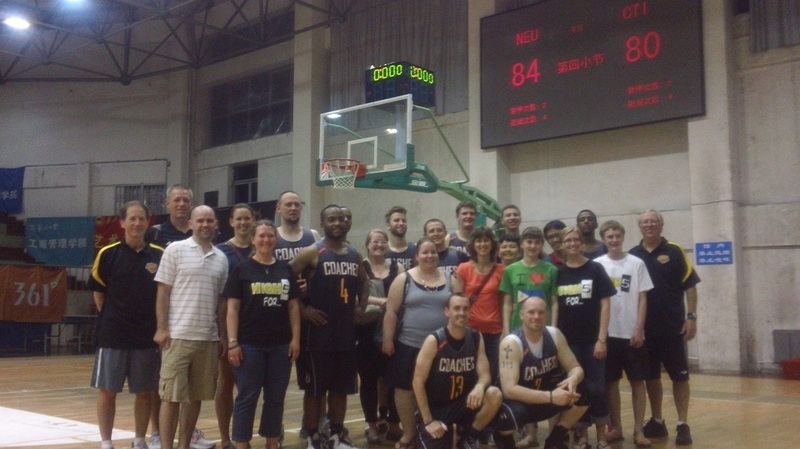 EAE and Coaches Team finish a successful June tour in China. After a month of touring, outreach service, basketball, planes, trains, stinky tofu, etc... CTI finished it's two inaugural tours to China. Along with it's first full Coaches tour to China, CTI saw the successful launch of the East Asia Elite Tour and the introduction to CTI's new outreach program; "The High5 Campaign." CTI took the High5 Campaign to the streets, schools, shopping, etc... hoping to simply change lives and cause a smile ONE HIGH 5 AT A TIME. This past weekend was a great day for CTI and EAE as they completed a full day of open gyms for international school students. CTI/EAE was excited to feature its first ever girls event that featured athletes from over seven different schools in the greater Seoul area. CTI hopes to have many more girl events. 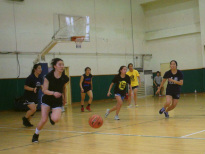 The girls reminded everyone present that they like to play basketball to and they wish to get better as well. Thanks for a great start and we will see you next weekend. Get the word out! 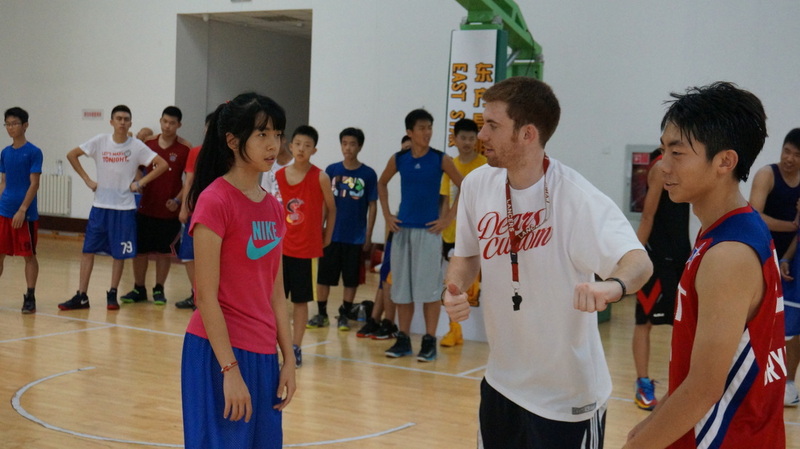 I can't believe that it has already been almost a week since we started the camp in Beijing. So far the kids have been great and now we have one day left before the CTI coaches return to Korea to begin the next big CTI camps. It has been an eventful summer and it is still going. Stay tuned for more CTI adventures, games, camps, classes and good old fashion fun! CTI finishes it's first camp in Seoul, Korea for higher level athletes! After a series of complications and setbacks; CTI went ahead and finished a week long camp that featured five CTI coaches. Over the course of the week boy and girl student athletes from all over Korea came to receive individual training to help them get to the next level. Schools included SFS, TCIS, YISS, SoongHeui, CCS, GSIS and SAHS from Korea with also a student athlete from Oak Hill Academy from Virginia. It was a great and sweaty week for coaches and athletes. The CTI camps even featured Korea's #1 girl prep star Kim Jin Yeong. 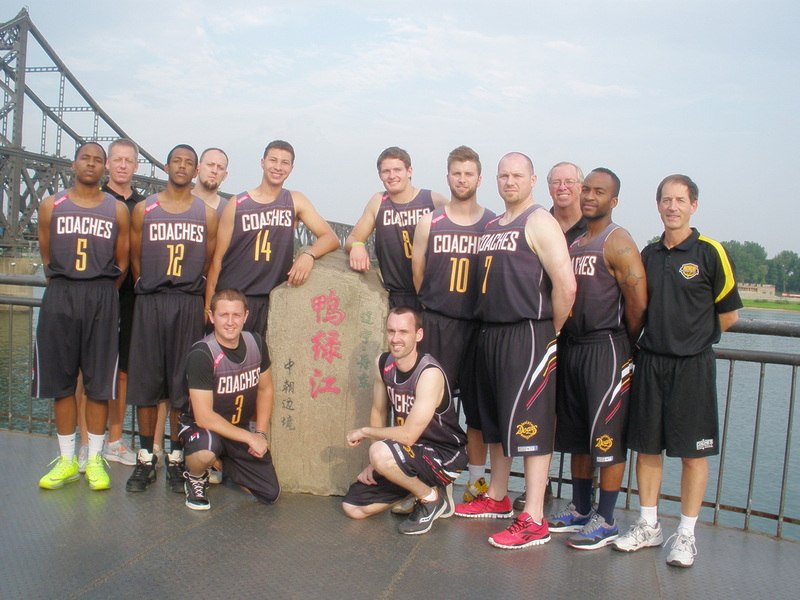 The Coaches Team Concludes China Trip by welcoming the young East Asia Elite Team to Beijing. 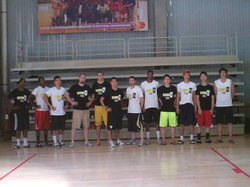 The Coaches Team finished a great 14 days in China by welcoming the youngsters of the East Asia Elite. The two teams had a chance to bond for one day of fun that included a team breakfast that allowed the teams to watch game 7 of the NBA finals. 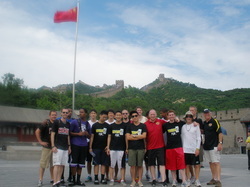 After the game the team bus took the players and coaches to the Great Wall before returning to the city for a team pizza party. Congrats to the Coaches Team for a successful tour. Good luck EAE!!! 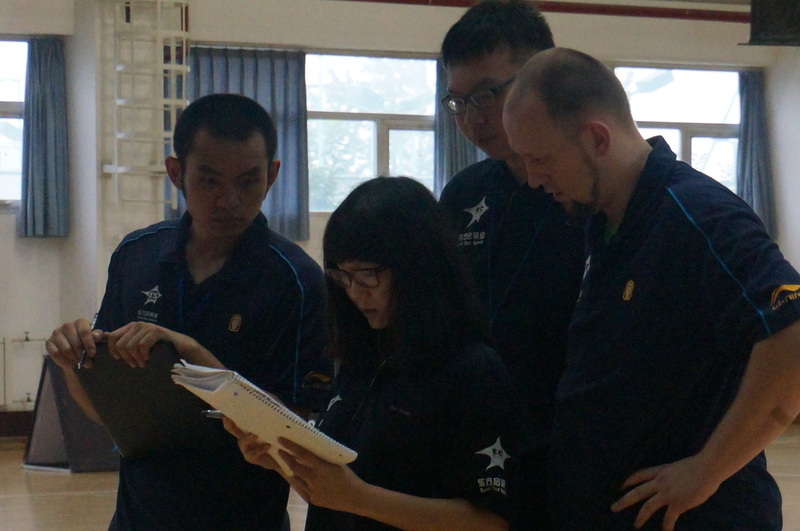 CTI Coaches Team in Dandong, China. This photo was taken today on the border of North Korea and China on the famous Broken Bridge. After a hard fought battle against a much taller and athletic Laoning team; the CTI Coaches team falls short in the final 53 seconds of the game. This is the third loss on this tour for the CTI Coaches that transpired in the final minute of the game. The CTI Coaches have an early morning wake up call to travel to the North Korean/Chinese border city of Dandong. While there the Coaches team will play special event games to promote peace in North Korea . 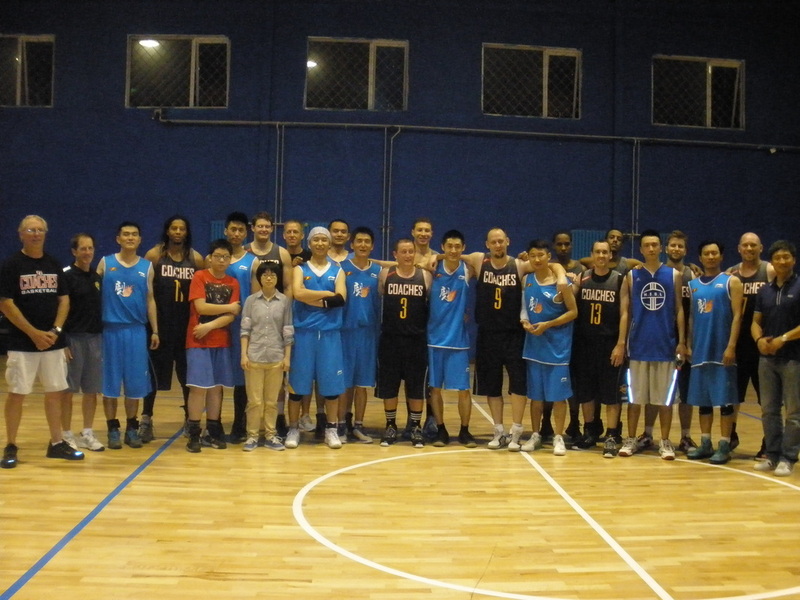 CTI would like to thank the small American community that lives in Shenyang who found out about our game and came out to support us. After a hard fought game against China's #1 team the Coaches team came up short in the most exciting game thus far on this years tour. It was the 2nd game played in front of a crowd. Devlin Jefferson nailed a 3 with 19 seconds left to pull the Coaches team within 1 point. However, Dong Bei made all their free throws down the stretch. 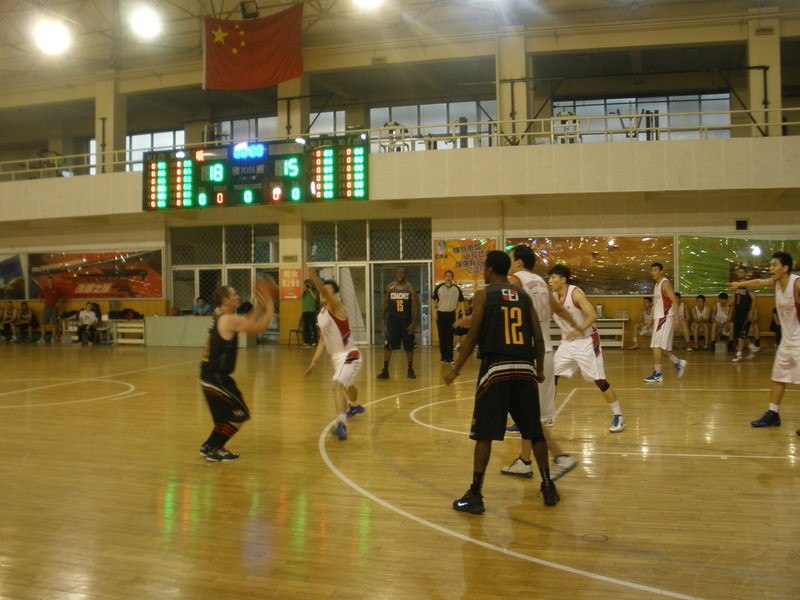 (FYI: Dongbei shot 40 Free throws to the Coaches 16). The Coaches Team came out a little flat on Friday afternoon against BSU. But in the end the team rallied and started off the tour with the win. This was a good win for the team especially since BSU featured several players who were recently drafted to the CBA. Next up; the team travels North to Shenyang to take on China's #1 team on Sunday. The train ride experience was more then memorable for everyone. 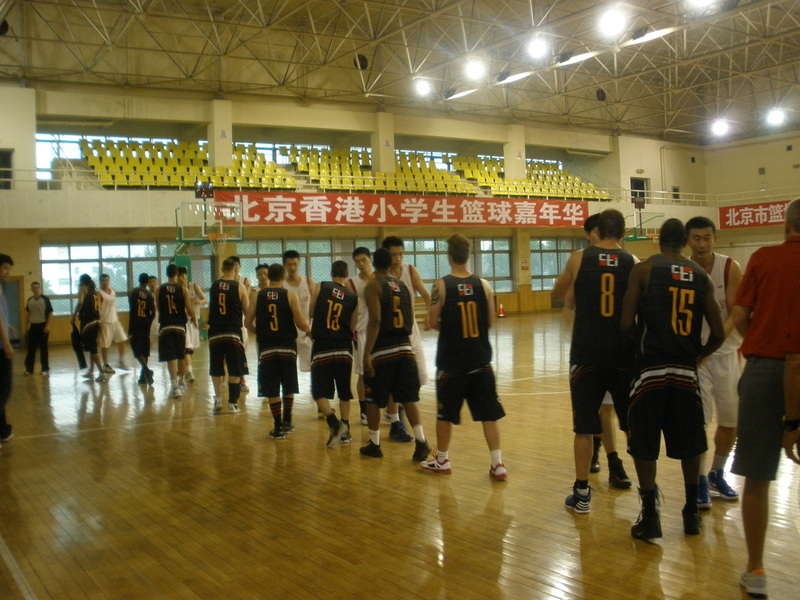 After 4 days of exhibitions and training the Coaches Team is ready to face the Chinese University powerhouse BSU. The team thus far has enjoyed learning from the coaches staff and touring the city. After today's game the coaches team will volunteer at a Chinese migrant school fro small children and then take a long train North to Shenyang and Dandong. The jet lag is finally starting to wear off and the food is not hurting as much as it was. After a long process of dealing with Visas, delayed flights and other international traveling nightmares the team finally assembled together. 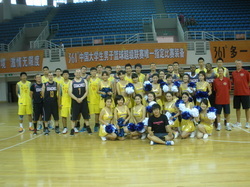 This photo was taken before our first scrimmage against a Chinese celebrity team. We managed to squeak out the victory with a final score of 116-48. CTI Coaches Team set to arrive in Beijing, China THIS WEEKEND!!! It has been a year in the making. 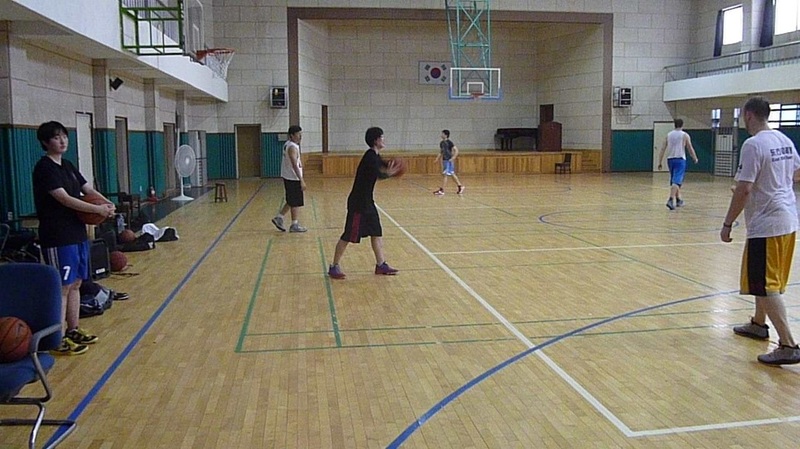 Project uNKnown was set in motion in December and the plan was to tour North Korea and play friendly basketball and volleyball games in the capital city of Pyongyang. However, due to tensions in the region and political issues CTI will send the same basketball team to China in it's first all out China tour. The team will train in Beijing before travelling North to Shenyang for friendly games and finishing the tour in Dandong. Dandong is a border city of North Korea and we will be playing a large event game there. We hope to continue our programs in North Korea and hope this in game in Dandong will serve as a small statement to our commitment to the North Korean people. Meanwhile, CTI has games to play, children to teach and lives to change. ONE HIGH FIVE AT A TIME! The young men of the KAIAC Elite high school program had a first hand experience of the physicality of grown men's basketball. The boys battled fearlessly against bigger stronger competition. Although they dropped both of their games they made both teams work to the last minute to put them away. Henry Arnold had a chance to win the game at the buzzer in game one but just came up short. In game 2 they battled back from 17 down to get within 4 with a minute to play before running out of gas. The boys gained a lot of respect and now are being invited to further tournaments nationwide. Greg is back for a second year with CTI and is excited about teaching and sharing his years of knowledge with the team. 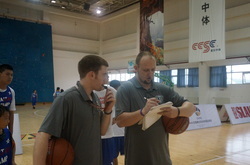 Greg spent several years assisting John Wooden and has taken teams all over the world. 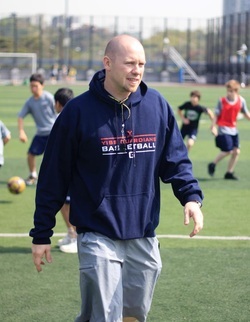 He is currently coaching at Master's College in California and has had coaching stops that include UCLA, Valencia High School and so much more. Coaches Team Battles In Deajeon. Literally!!! CTI would like to thank TCIS for hosting this tournament. Although the CTI team came up short in the end of a physically tested finals match that resulted in broken limbs and concussions to our players we still agreed that it was fun to play teams from all over Korea. 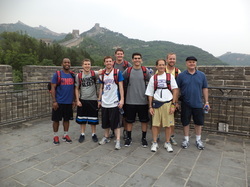 Last year the Coaches Team made its first stop to China and had a great time of balling, bonding, touring, learning, leadership and faith building training. CTI hopes this summer will prove to be even more successful then last year. CTI has every intention to avenge our loss to Tsinghua University this summer. Be prepared!!! Click link below for roster! Larry will be assisting as a coach and also will be participating as team chaplain. 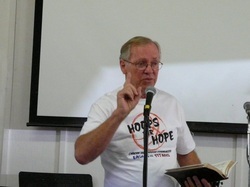 Larry has a deep coaching background and also is a strong man of faith as he will be teaching the players about how faith, life and coaching go together. Coach Davis is making his transition from CTI player to fulltime coach. 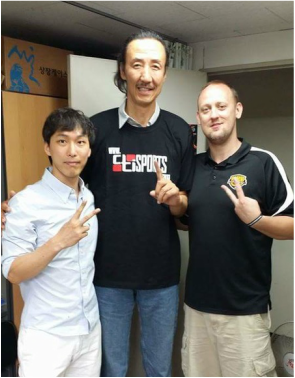 Davis has been coaching for over 10 years and is currently coaching in South Korea where his knowledge and skill will be enjoyed and used by this years team. Davis is from Grand Ledge, Michigan and has been living overseas for almost 7 years now. Coach Johns will be participating in his first tour with CTI. He also brings a wealth of knowledge and experience to CTI from over a decade of coaching on the west coast. CTI looks forward to your expertise. 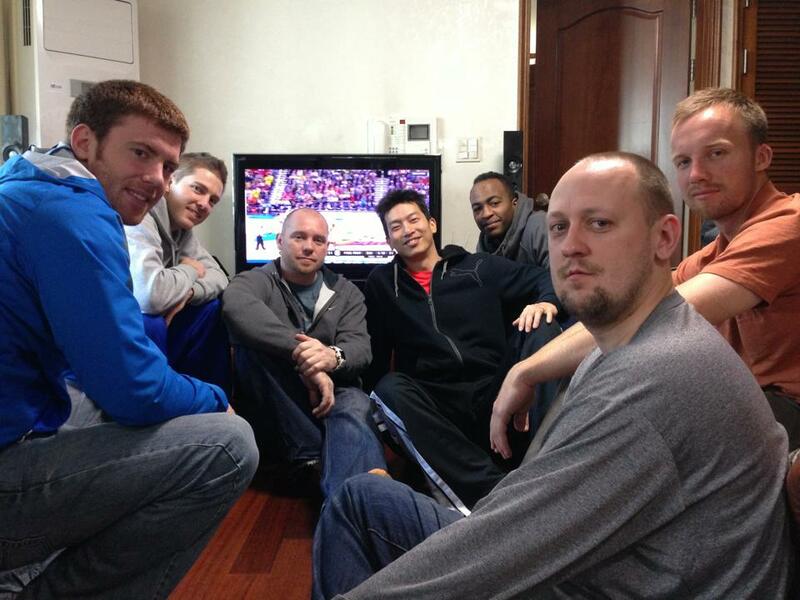 Coaches in Seoul getting together for pancakes and watching the Final Four. For 9 days Luke Elie along with 2 other American players representing CTI went to the Southern Chinese province of Guangxi to participate in a variety of nationwide invitational basketball tournaments held in the city of Pingnan. 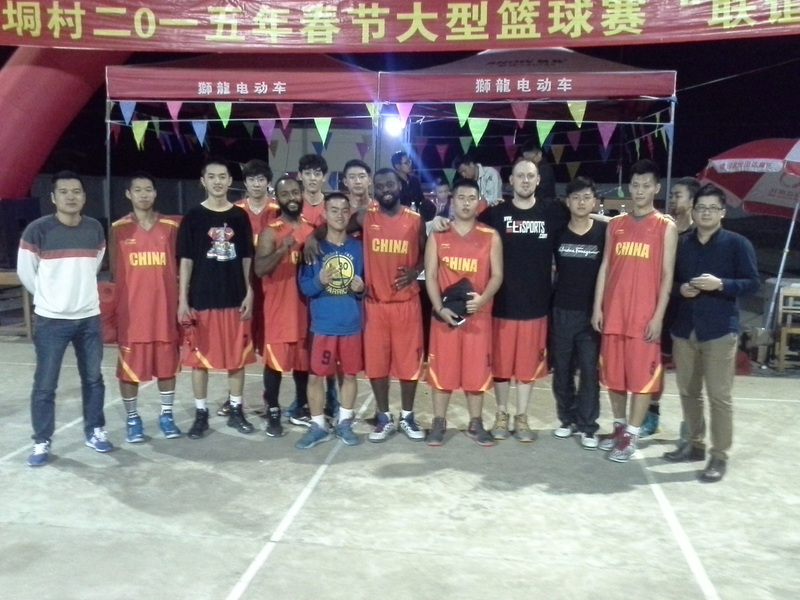 While there CTI was able to establish great relationships with locals in the community while truly supporting basketball development and promoting good friendship between the rural Chinese and the USA. Most rural Chinese people still have very little to no contact with other nations and much of the views they have are still shaped by the Cultural Revolution. It is a great opportunity to come and show love through basketball and interaction. players who came to compete against other teams who want nationwide bragging rights over the Chinese New Year. It was a great chance to teach them and share ideas and work together to be successful. 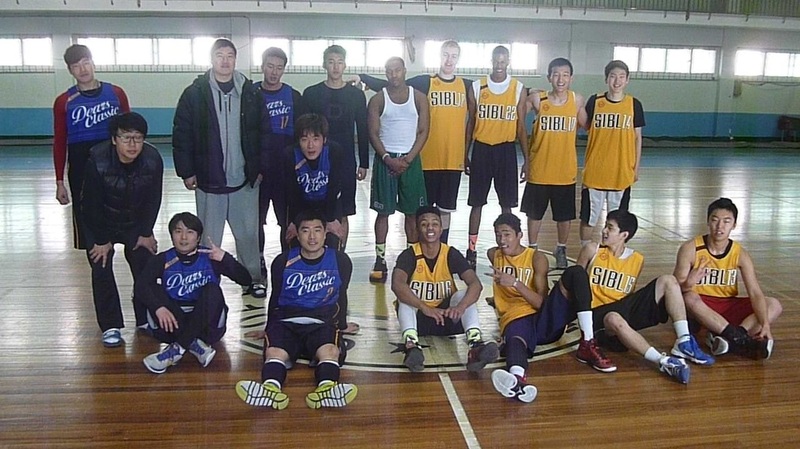 The language barrier was a bit tough but the basketball was loud and clear.